Saponaria officinalis is one of 20 species of soapwort and a perennial member of the pink family, which make it a cousin to the carnation. This European species is also known by many common names, including bruise wort, sweet Betty, wild sweet William, bouncing bet, Fuller’s herb and latherwort. As many of these alternate names suggest, the plant has something to do with making soap. The woody root contains a high degree of mucilage and saponins, the latter of which produces suds when introduced to water. Powdered soapwort root is a convenient form of the herb with which to make natural bath and laundry products without having to work with raw plant material. Saponaria officinalis is a common perennial plant from the carnation family Caryophyllaceae. Soapwort, as it is commonly called, has leafy, unbranched stems which are often tinged red. The plant grows in patches, growing in height to around 70 cm or a little over 2 feet. The broad, lanceolate, sessile leaves are opposite and between 4 and 12 cm long. Soapwort's sweetly scented flowers are radially symmetrical and colored pink, or on occasion white. Each of their five flat petals have two small scales in the throat of the corolla. The flowers are arranged in dense, terminal clusters on the main stem and its branches. The long tubular calyx has five pointed red teeth. The plant's individual flowers open in the evening, and remain open for about three days. Saponaria officinalis blooms from May to September in the northern hemisphere, and October to March in the southern hemisphere. The plant's scientific name Saponaria is derived from the Latin sapo (stem sapon-) which means "soap." This moniker as well as the plant's other various common names, refers to the plant's utility in cleaning. Saponaria officinalis is native throughout Europe to western Siberia. Soapwort has some obvious uses you can guess from its name. It’s been used as a soap and detergent for hundreds of years. In ancient times, soapwort was used to clean fabrics and was probably the first “laundry detergent” used by ancient peoples. And while it does work to keep things clean, it also has some medicinal uses you may be interested in knowing. It has many uses beyond doing the household chores. Soapwort acts as an expectorant. What that means is that it thins the saliva and mucus on the body. That can be a great aid to your respiratory system when you’re in need of relief. It can help your coughs to be more productive, can help to clear the sinuses, and can loosen the tightness you may feel in your chest. 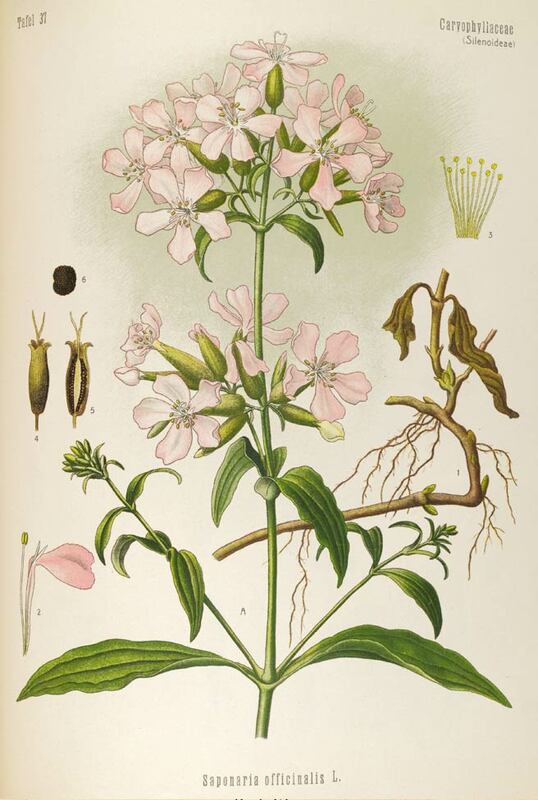 Soapwort can be used for treating all kinds of respiratory infections from colds to bronchitis, and even pneumonia. 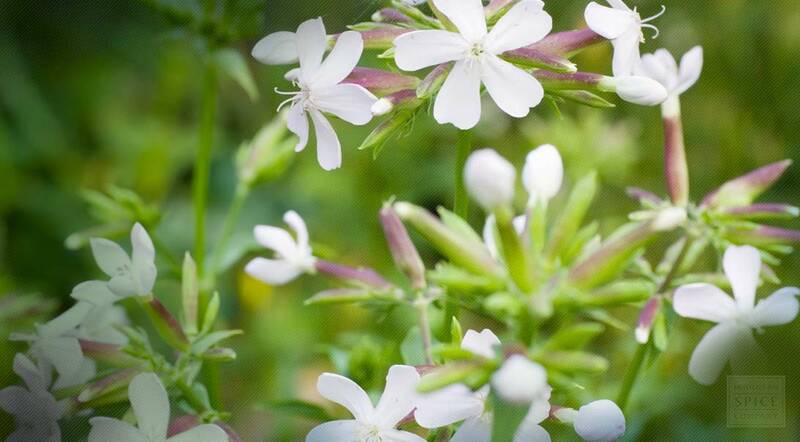 If you suffer from arthritis or rheumatism in your joints, soapwort can help to provide you with relief. It helps to reduce swelling and inflammation and thereby reduce the pain you’re feeling. You’ll get the results you need to help you function without pain and pressure on the joints. For your skin, soapwort can also provide relief. It can help to soothe the irritation and inflammation that comes from skin conditions like eczema and psoriasis. To use soapwort in this way, you’ll make a wash by infusing it and applying the wash directly to the affected skin. To take soapwort internally, you’ll need to drink about two or three ounces of the decoction each day. However, you must make sure not to drink too much because it can become toxic in the body. In fact, if you want to take it internally, it’s best to talk to a healthcare provider before you do. While soapwort is an effective cleaning agent, its best use is that of a provider of pain relief and relieving the symptoms of respiratory infections. You’ll want to keep soapwort in your pantry so that you’ll be able to handle coughs, colds, and arthritis pain with ease. You may even find that it can be a great relief when you have a rash or skin inflammation on your body. Make sure you purchase high quality soapwort that will continue to work well. Keep it on hand at all times so you’re ready for whatever comes your way.